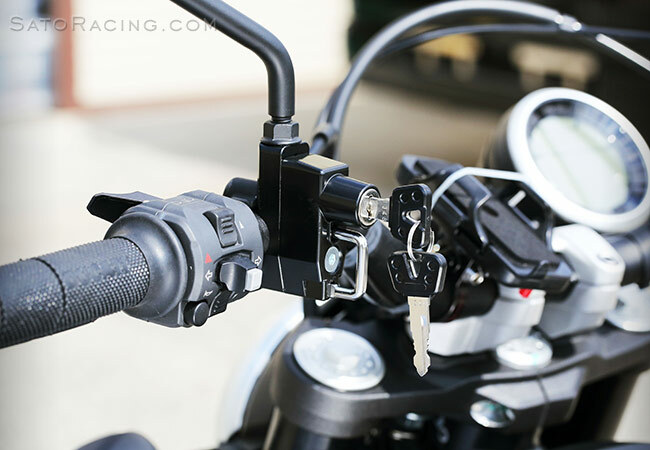 Keep your helmet secure with a SATO RACING Helmet Lock! 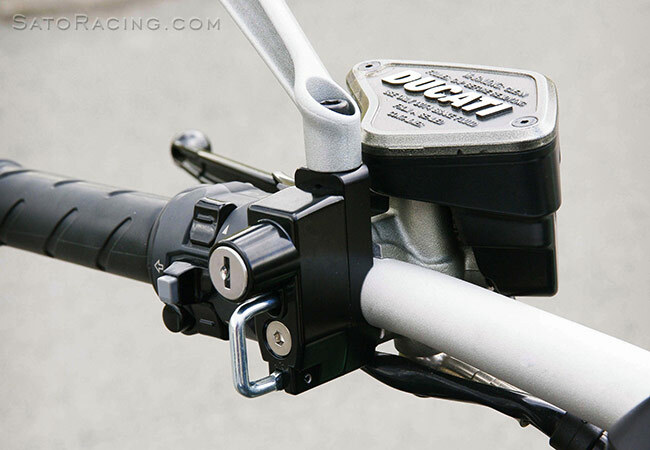 This 'universal' handle bar-mounted lock has an anodized billet aluminum base with an integrated 8mm mirror post hole (right hand-threaded), for mounting 8mm Ducati mirrors, or any 8mm-size mirror. 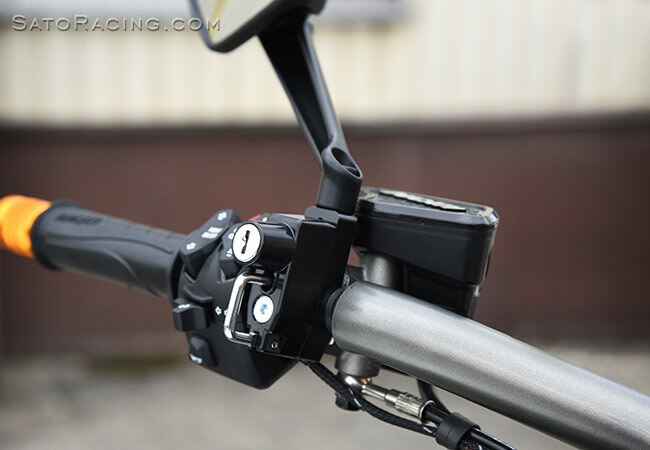 On compatible Ducati models, it can be mounted on the left side of the handle bars, replacing the stock clamp back for the clutch master cylinder. The lock base has mounting holes with 32mm spacing between the holes, measured center to center. 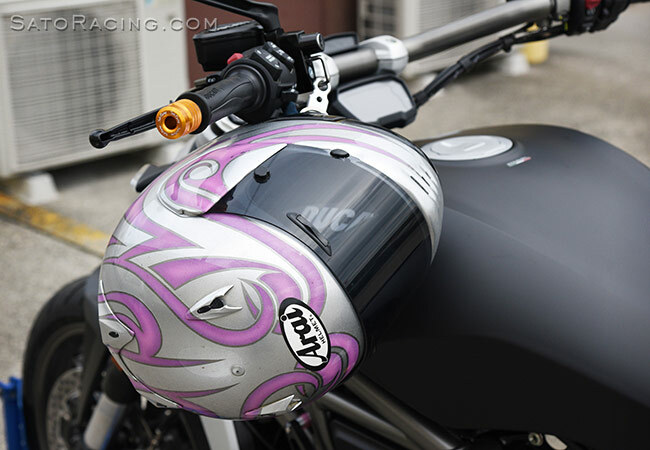 (This is a standard size compatible with most modern motorcycle models with mm bars). 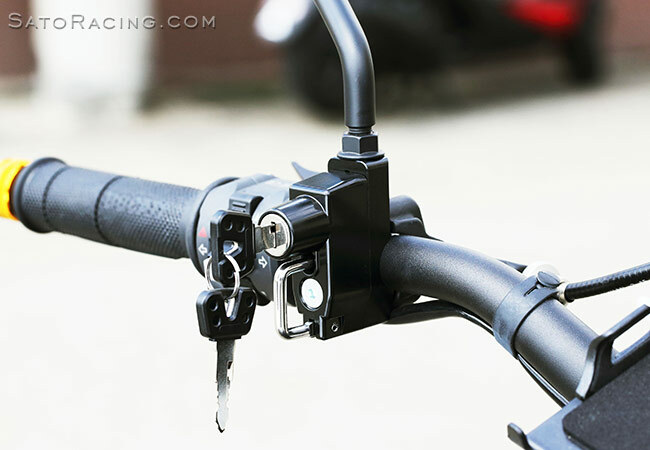 Lock is Black, with your choice of a Black or Silver base. (Includes 2 keys). 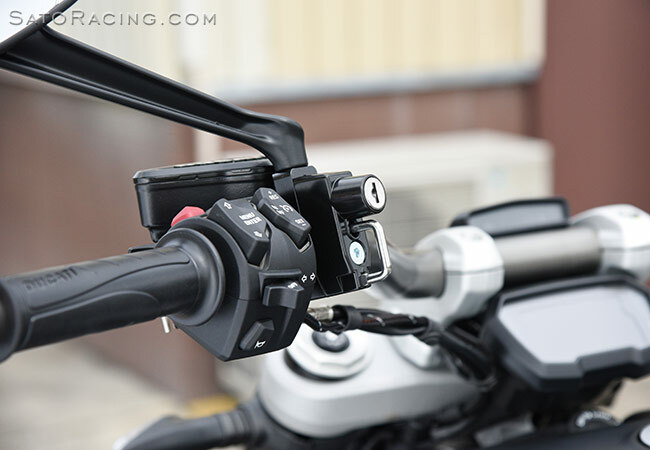 Ducati models known to be compatible with the 8mm Mirror Mount include Diavel, XDiavel and Scrambler. 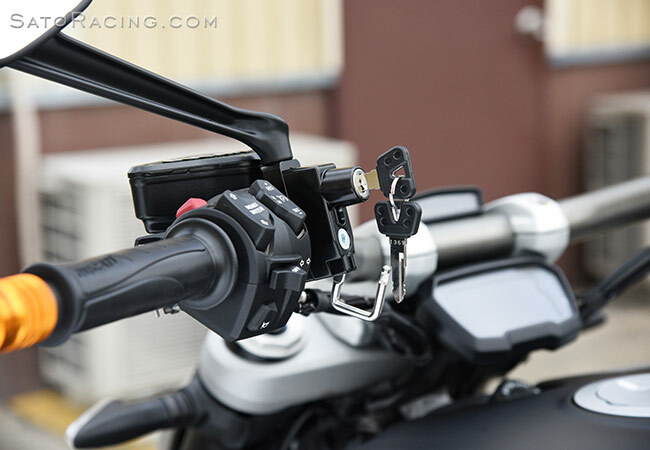 A version of this lock for use with 10mm mirror posts (for 2013+ Hypermotard and others ) is also available. Click Here for details. 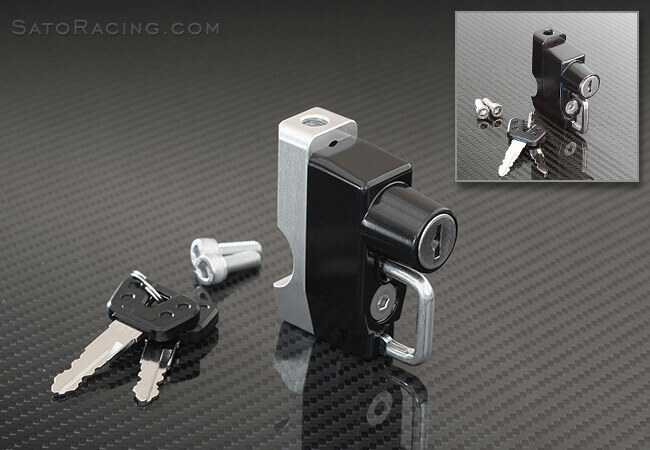 * SILVER has a Black Lock Cylinder and a Silver base.